Wide-ranging media outlets from The Wall Street Journal to The Economist to Science Magazine have covered the issues surrounding wood pellet production and arrived at the conclusion that burning Southern forests for electricity is ludicrous. Being at the forefront of the work to stop the unimpeded growth of the industrial-scale biomass industry, we can easily agree because of all our hours spent on country roads following trucks to prove that the industry is sourcing its “green fuel” from precious bottomland hardwood forests. Our in-depth investigations down these lonely backcountry roads for the past five years has given us the smoking gun. Scientists, organizations, community groups, and investment firms have spoken out against the biomass industry’s false promises of “sustainability” and their smokescreen of caring for the communities where they set up their dirty facilities. The movement to protect forests in the Southern United States is continuously gaining momentum, and its reach is now global. Our pellets are shipped primarily to the UK and EU, and for the past several years, people have been joining in to the chorus. Neighbors all across South, from big cities like Atlanta, Charlotte, and Baton Rouge and small towns like Hamlet, NC, Clinton, SC, and Gainesville, FL have spoken up, and it’s not gone unnoticed. 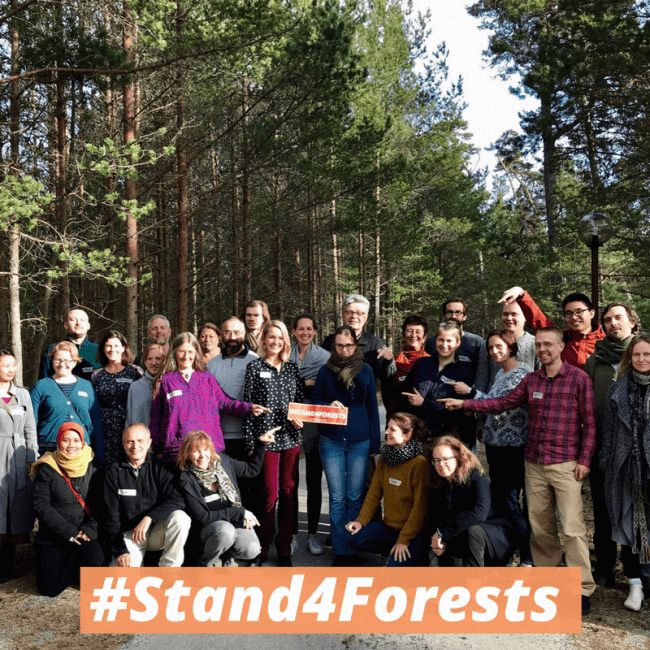 The urgency and scale of the threat has even prompted the creation of an international biomass network, which gathered in Estonia last week to #Stand4Forests. The collective voice of our region has inspired people all around the world. Right now, our forests are at the center of the debate in the EU about its next renewable policy. Our forests are showing up in the nightly primetime news show in the UK, and they are being published about in environmental justice research journals. People all over the world are joining Southerners to make it clear: burning forests for electricity is bad for our quality of life, environment, and economies. Where has this led us? To carry the message of forest protection to the highest level that we can go: the United Nations Climate Change Conference in Bonn, Germany. 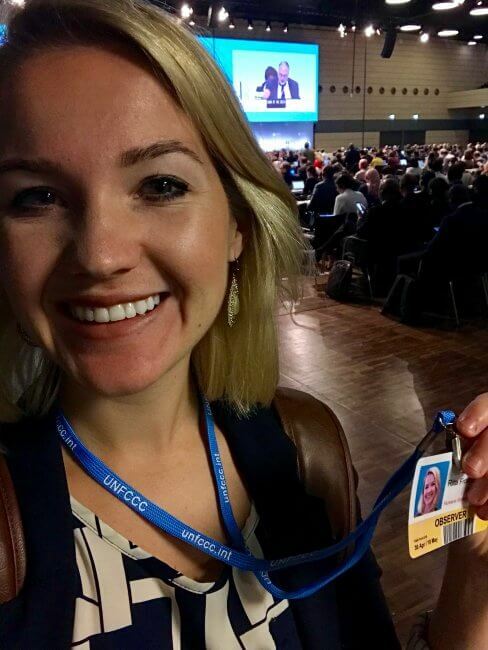 UN Climate Conferences provide a platform for advocating real solutions to the climate crisis and ensuring false solutions are not agreed to. The UN Framework Convention on Climate Change (UNFCCC) is the root of the carbon accounting error that determined burning trees for electricity was carbon neutral because eventually trees grow back. This was a relatively benign problem for a number of years until Europe opened up the floodgates for biomass power, which promptly led to enormous destruction of forests in the Southern US. Even more, as the world determines how each country will meet their Paris Climate Agreement goals, enormous countries are signaling that they want to scale up the “bioeconomy.” In the South, we know exactly what happens when market structures and government subsidies are created to prop up the biomass industry. 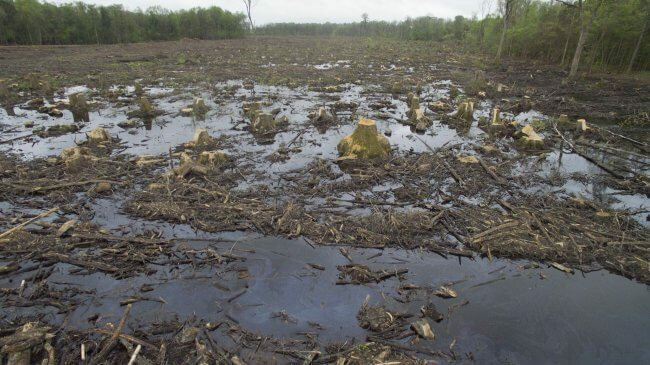 Our history with European renewable policy hurting our forests has demanded that we arrive in Bonn, Germany and deliver the strong message that we have been saying for years: Our Forests Aren’t Fuel! Climate change will not be solved with magic tricks or silver bullet technologies. Technologies like biomass with carbon capture and storage (BECCS) which is just an excuse to burn more forests and coal and sadly makes up a vast majority of scenarios being explored by the UN. Our problems will only be solved through collective efforts to address the root causes of climate change such as drawing down fossil fuels, ending forest destruction, and rapidly increasing protections for carbon sinks like forests. Implementation of the Paris Climate Agreement is happening right now. This is why we’re showing up, representing the voices of thousands of Southerners. Forests must be valued for all the life-giving benefits that they provide us. Forest are the best system to protect us from climate change. Protecting and restoring forests and placing a value on that protection will help forests and communities in the South and all over the planet. BECAUSE ALL NATURAL WONDERS OF LAND, AIR AND WATER EVERYWHERE IN THE WORLD MUST ALWAYS BE LEFT PRISTINE AND INTACT!!! Rita thanks. I’m a hell raiser and passionate about animals and plants also.